Weekly working bees are held on Mondays, Tuesdays, Thursdays and Saturdays. To find your local Dunal Regenerators and Bush Care Group please see the following: Stumers Dunes call Birte on 0403 752 955 or email – birte@hovespencer.com Lions Park Watercourse call Linese on 5446 5116 or email – Linese5@Bigpond.com Yaroomba Bush Care call Sherida on 0403 370 157 or email – sherida_h@hotmail.com Yaroomba Dunes (and Point Arkwright) call Silva 07 5446 5549 or email – silvamn9@hotmail.com Yerranya Dune Care call Leigh on 0407 397 018 or email – president@coolumcoastcare.org.au Town of Seaside-Boardwalk Dune Care call Luke on 0428 853 188 Marcoola North Dune Care call Alan on 0419526347 or email jualhayes@bigpond.com Marcoola Coast Care call Tony on 0419791860 or email – tony.gibson@spirit3h.com.au Mudjimba Bush Care call Helen on 5448 9604 or email – helenandfoy@bigpond.com Twin Waters Dune Protection Group call Sue on 0402113375 or email – twinwatersduneprotectiongroup@hotmail.com Tools, training and a lively time are provided. All welcome. There are opportunities to volunteer and train, to assist the marine turtle volunteer research and monitoring group (for turtle strandings and the like).For more information email info@coolumcoastcare.org.au or find us at www.coolumcoastcare.org.au and on Facebook. 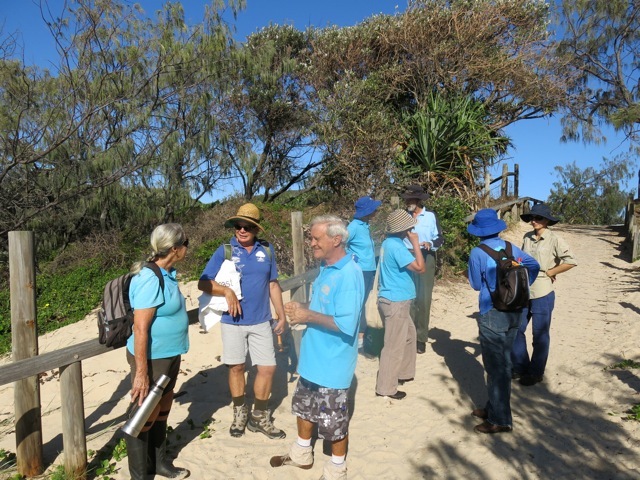 Coolum District Coast Care Group also works with Coolum Community Native Nursery at 157 Warran Road, Yaroomba which is open to the public and where people can volunteer. For more information about the nursery email info@coolumnatives.com or go to www.coolumnative.com.